The crowd and entry numbers for the last event of the opening season of the new series were so extraordinary, it was worth asking PR man Alfredo Filippone for some explanations. This is what he had to say, in answering two questions. 1. 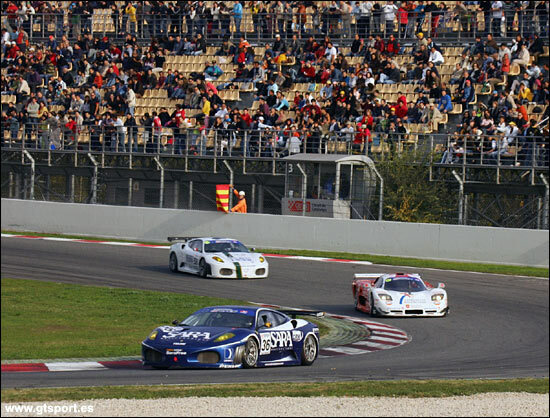 How did your series manage to attract so many spectators to Barcelona? 35,000 is not an odd figure for the Barcelona event that traditionally closes the Spanish racing season. GT Sport events are a full package that includes Spanish GT and Spanish F3 Championships (the two main racing series in Spain), some mono-brand cups by manufacturers such as Hyundai and Seat (which use these events for promotional activities, of course) and Emilio de Villota’s Master Junior Formula (it’s a singleseater “real-life academy” for very young drivers). The Barcelona race has always had a special 'flavour' (the end-of-season effect, nearby France, etc.) but numbers are also quite large in the other events, especially after the summer (we only race in spring and late summer in this country, for obvious reasons). And I guess that more simply, yes, motor racing is popular in Spain, more than foreigners may believe (motor bikes are still beating us, though, but that’s an historical fact). 2. And why do you think the series is so popular with teams? Were the 60+ entries a guide as to how many might enter the races next year? 60+ is a huge number, we do reckon. Here too, Barcelona has always attracted a lot of entries even before the creation of the GT Open (it’s a nice last race in the season for many foreign teams). But with the exception of Turkey (too far), we have had very good entries in all GT Open events in this first year, always around 30+, and 50+ in the three events (Estoril, Valencia and Barcelona) where the GT Open and the Spanish GT had joint races. This was a “cautious” choice we did for this first year of the GT Open, but will not be the case any more in 2007 as we want to clearly differentiate the two series. We will have events in common, but no joint races any longer, to allow more clarity and make grids more manageable. For the GT Open, I guess we aim at grids of between 30 and 40 entries, hopefully regular entrants and of even quality.